Ingredients and method are taken from this recipe – decorated below with my own tips and tricks. So first off, just melt the butter. Then add the brown sugar and the milk and bring it to the boil. It may look like it’s too thick, too much sugar, not enough liquid, but that’s actually okay. Now, the original recipe says to boil it for only 2 or 3 minutes, but here’s what I found out in retrospect – boil it until your sugar is kind of melted. So instead of 2.5, don’t panic; boil it out for at least 4 minutes. Besides, boiling this sugary mix is going to look super entertaining. 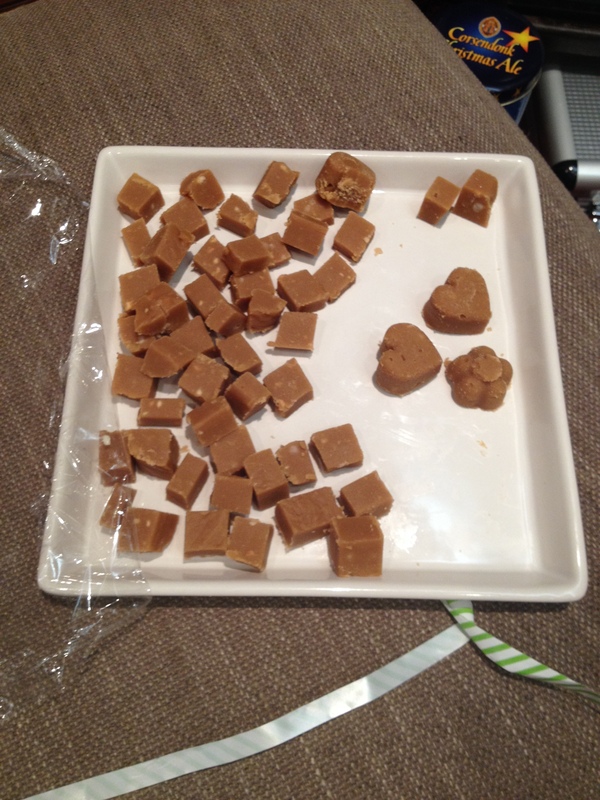 To make my fudge look awesome, I used some silicone ice cube trays to shape my pieces – they’re really awesome. I had a flower and a heart-shaped tray, so I filled those up, wiping away any excess on the top. If you don’t have those, just use any baking tray, like square or rectangle. Or whatever suits your fancy. Whack it into the fridge for a loooong time – I left it overnight to make sure. I was pretty positive that no one in my family would like the fudge – you know, too sweet, too fatty, too meh. 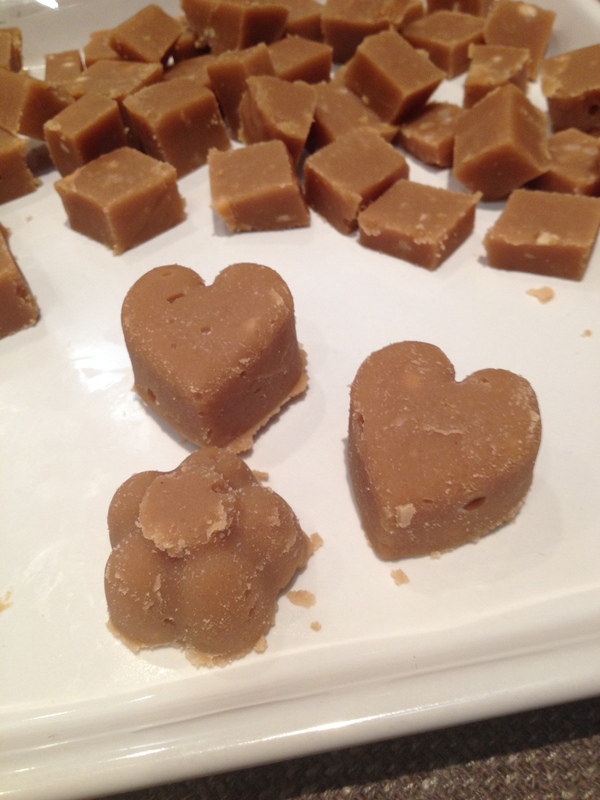 To my surprise though, half of my huge batch was eaten on Christmas eve; and the shaped fudge made such an awesome present! If you’re stuck, broke or lazy, this really is the recipe for you. I mean, in the end, who doesn’t like this kind of sin? This entry was posted in Desserts, Snacks and tagged chocolate, Christmas, cooking, dessert, dinner, easy, edible, food, fudge, ingredient, meal, present, quick, recipe, sugar, sweets. Bookmark the permalink.